(SINGAPORE, 21 September 2018) – Sony Life Financial Advisers Pte. Ltd. (SLFA) today announced the official opening of its first financial advisory retail shop at Westgate. 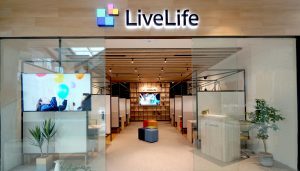 The retail shop is named “LiveLife” which embodies the concept of consumers taking change and having full control over their insurance needs by walking into the retail shop to fulfil their insurance needs. LiveLife gives consumers the freedom to meet up with SLFA’s relationship managers in a convenient location and comfortable environment to discuss their insurance needs. Sony Life Singapore Pte. Ltd., the Singapore subsidiary of Sony Life Insurance Co., Ltd. (Sony Life), and Starts Securities Co., Ltd. (Starts Securities), established a joint venture, Sony Life Financial Advisers Pte. Ltd. (SLFA), in August 2017 to conduct financial advisory business. By maximising the strengths of Sony Life and Starts Securities, SLFA will bring to Singapore the concept of life planning, which they have cultivated together in the Japanese market. SLFA aims to introduce an insurance distribution model that is highly popular in Japan where consumers walk in to dedicated retail shops to seek professional advice. Relationship managers will provide consumers with several insurance plans that are optimally tailored to customers which allow them to make educated comparisons of a wide variety of various insurers’ products. Consultations are non-obligatory and LiveLife’s relationship managers will provide life planning, financial simulation and advise on consumers’ insurance needs and review their existing polices. 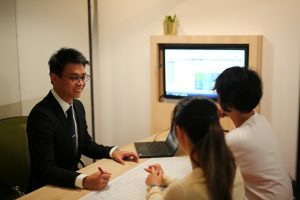 “Sony Life Financial Advisers provides quality and unbiased advice based on holistic life planning by relationship managers where consumers can compare a wide range of products and services in a comfortable and conveniently located retail space,” said Mr. Fumio Aono, Managing Director, Sony Life Singapore Pte. Ltd.
Modules represent our service of offering financial solutions that are reasonable and consist of custom-made combinations to perfectly fit individuals. The multi colours represent our aim to make our customers’ various lives more vivid by offering a diverse range of products and choices. Life insurance: Aviva Ltd., Manulife (Singapore) Pte. Ltd., NTUC Income Insurance Co-operative Ltd., Tokio Marine Life Insurance Singapore Ltd.
General insurance: Great Eastern General Insurance Ltd., MSIG Insurance (Singapore) Pte. Ltd., NTUC Income Insurance Co-operative Ltd., Sompo Insurance Singapore Pte. Ltd., Tokio Marine Insurance Singapore Ltd.
Name: Sony Life Financial Advisers Pte. Ltd.
Executives: Three from Sony Life Singapore Pte. Ltd. One from Starts Securities Co., Ltd.
Name Starts Securities Co., Ltd.
Major shareholder Starts Corporation Inc.
About Sony Life Financial Advisers Pte. Ltd.
Based in Singapore, Sony Life Financial Advisers Pte. Ltd. Is a joint venture between Sony Life Singapore Pte. Ltd., the Singapore subsidiary of Sony Life Insurance Co., Ltd. (Sony Life), and Starts Securities Co., Ltd. (Starts Securities). Established in August 2017, Sony Life Financial Advisers Pte. Ltd. aims to provide quality and unbiased advice based on holistic life planning by relationship managers where consumers can compare a wide range of products and services in a comfortable and conveniently located retail space. For more information on Sony Life Financial Advisers’ products and services, please visit www.sonylifefa.com/. Sony Life Financial Advisers Pte. Ltd.